Four WSEAS Conferences (AEE, ACE, ELECTRO, MMF, SOPHI, EMEH) have recently taken place in Playa Meloneras, Gran Canaria, organized by WSEAS and EUROPMENT, in collaboration with several universities. Following the excellent tradition of these conferences in New York, USA, September 2002, * New York, USA, September 14-17, 2003, * Cancun, Mexico, May 12-15, 2004, * Prague, Czech Republic, March 13-15, 2005, * Prague, Czech Republic, March 12-14, 2006, * Istanbul, Turkey, May 27-29, 2007, * Trondheim, Norway, July 2-4, 2008, * Houston, USA, April 23-25, 2009, * Penang, Malaysia, March 23-25, 2010, this meeting provided an international forum to discuss current issues in electrical engineering and computer science, economics and environment. The meeting was opened by Professor F. Chubani, collaborator of N. Mastorakis and WSEAS, who welcomed the Delegates and wished them a productive participation in the Conference. Fethi passed on a message from Professor Nikos Mastorakis to the delegates who could not attend this year�s meeting. He explained the commitment of the Society to knowledge transfer activities, particularly those involving inter-disciplinary fields such as electrical engineering and computer science. Further developments have occurred in the publishing activities of the WSEAS Press, the associate branch of the Institute, which is now becoming more digitally oriented. 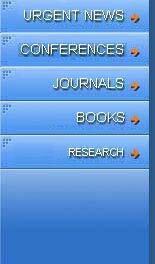 This will result in the publications of the WSEAS Press being more readily available. 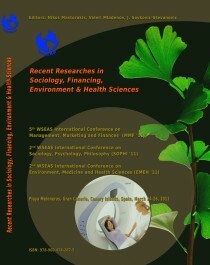 The most successful of these activities has been the e-Library, containing the papers presented at the WSEAS conferences, which is consulted by an ever increasing number of researchers. Dr. Jyri Rajamaki, Laurea University of Applied Sciences, also presented an outstanding plenary speech and enhanced the conference program with a special session of 6 excellent papers. Meanwhile "Applications of Playware: Intelligent Technology that Creates Playful Experiences" was an interesting plenary lecture by Prof. Henrik Hautop Lund, Technical University of Denmark that received considerable attention among our participants. This talk presented playware for creating playful technological applications, and how playware technology can be generalized for a vast variety of people, e.g. for play, education, heart patients, stroke patients, hospitalized children, home care, autistic children, dementia patients, and handicapped persons. The approach builds upon the development of modular robotics to create a kind of playware, which is flexible in both set-up and activity building for anybody, anywhere. Key features of this design approach are modularity, flexibility, and construction, immediate feedback to stimulate engagement, activity design by end-users, and creative exploration of play activities. Prof. Brindusa Covaci, Center for Risk Studies in Economy and Social Sciences, Austria presented an extremely interesting talk and also organized a successful workshop inside the MMF conference. 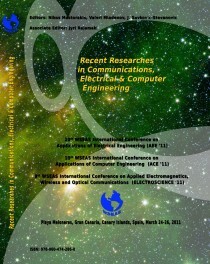 There was a series of special papers presented by well-known colleagues. The conference banquet took place in the H10 Playa Meloneras Hotel, where the multiconference was held. The evening was delightful and helped strengthen the links among the participants. by Prof. Fethi Choubani, Sup'Com, TUNISIA. by Prof. Henrik Hautop Lund, Technical University of Denmark, DENMARK. by Dr. Jyri Rajamaki, Laurea University of Applied Sciences, FINLAND. Risk in Microfinance Credit - Case Study for Romania, Bulgaria and Moldova by Assoc. Prof. Brindusa Covaci, Center for Risk Studies in Economy and Social Sciences, AUSTRIA. The WSEAS conferences in Playa Meloneras offered the delegates ample opportunity for interaction through a series of social functions and during dinner and coffee breaks. The conference dinner took place in the H10 Playa Meloneras Hotel with a superb buffet of more than 40 courses. The occasion was most enjoyable. During the Banquet our delegates learned about the famous island Gran Canaria which is the second most populated island of the Canary Islands and also the third most populated island in Spain after Tenerife and Majorca. Gran Canaria was populated by the Canarii (Guanches), who may have arrived as early as 500 BC. The Canarii called the island Tamarán or Land of the Brave. After over a century of European (French, Portuguese...) incursions and attempts at conquest, the island was conquered on April 29, 1483, after a campaign that lasted 5 years, by the Kingdom of Castile, with the support of Queen Isabella I, a conquest which turned out to be an important step towards the expansion of the unified Spain. The capital city of Las Palmas de Gran Canaria was founded on June 24, 1478, under the name "Real de Las Palmas", by Juan Rejón, head of the invading Castilian army. In 1492, Christopher Columbus anchored in the Port of Las Palmas (and spent some time on the island) on his first trip to the Americas. The WSEAS did not organize any special excursions, but the participants had several opportunities to visit the historical district of Vegueta, Dunes of Maspalomas, the so called "Spain's little Venice" i.e. Puerto de Mogan, the Maspalomas Golf, Aqualand and Casa de Colon. These small groups of WSEAS friends made several (unofficial) excursions, and other social functions helped cement the links between them and provided a friendly atmosphere in which to discuss opportunities for further research collaboration. The 6 WSEAS conferences were highly successful, and will be reconvened in the near future in a location and date to be decided soon.